Smart devices are increasingly evolving to encompass just about all aspects of consumers’ days, including health care. CareCloud, in tandem with a New York-based payment services company, is aiming to capitalize on this evolution with the launch of Breeze, a platform that brings the patient experience to smartphones and computers by allowing users to schedule health care appointments, and pay for them, on the go. 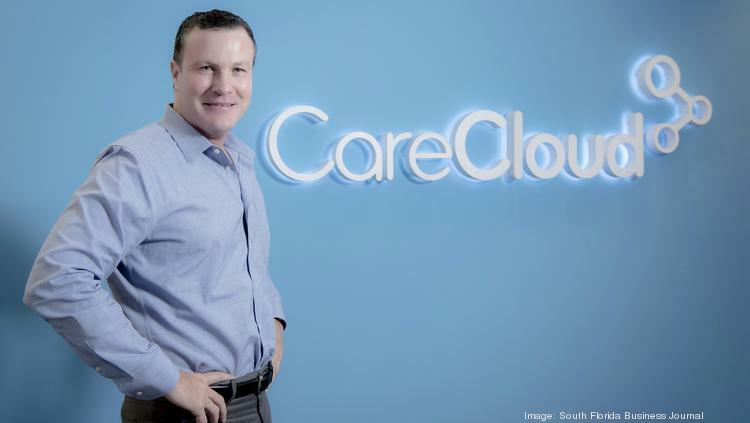 Founded in 2009, Miami-based CareCloud broke into the tech industry with an integrated platform that combines physician groups’ administrative functions and patients’ health records in one software designed to make daily operations more efficient. The company has raised more than $100 million to date. With Breeze, CareCloud partnered with First Data Corp. (NYSE: FDC) to apply principles of easy-to-use tech to routine health care experiences and adapt to consumers’ changing expectations. Breeze allow patients of participating health care providers to schedule appointments, check in digitally, and view and pay existing balances from their desktops or Android and Apple smartphones. The platform launched this week as part of a pilot program. Among those invited to test Breeze was Barbare Arbide’s Coral Gables allergy practice. CareCloud and First Data developed Breeze to shift health care practices alongside consumer preferences, which increasingly favor digital access to services over telephone calls, a survey conducted this year by CareCloud found. The company’s Patient Experience Index, which surveyed 1,100 patients, found that 34 percent of patients would switch doctors to be able to pay for visits online, while 41 percent of millennial respondents said they would consider switching doctors if they could schedule appointments online. Breeze is expected to become widely available in the coming weeks to medical practices that use First Data’s payments platform. Published in South Florida Business Journal.